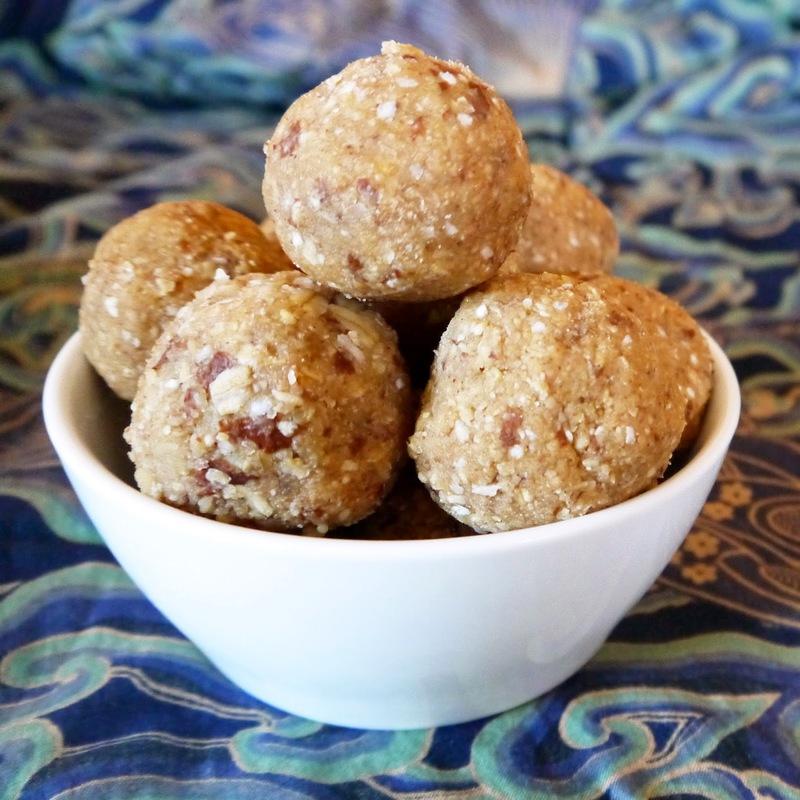 This is a variation on the raw vegan almond-flax ball recipe, with a slightly different flavour: Peanut! With clean hands, rip small pieces of dough and form small, (3 cm) balls. Serve right away, or allow them to chill and solidify for a more crunchy texture.